MELBOURNE, Australia (AP) — It was a bit as if John Isner was looking at a mirror-image across the net at the Australian Open on Monday, facing that rare guy who's actually a tad taller than he is and can smack serves nearly as well. And so it was that, even though he hit more aces than his opponent, 47-40, delivered more total winners, 79-64, and finished with more overall points, 147-142, Isner — for the first time in his career — failed to beat an American foe at a Grand Slam tournament. Reilly Opelka, ranked just 97th, earned his first victory in a main-draw match at any of the majors by edging the No. 9-seeded Isner in four tiebreakers 7-6 (4), 7-6 (6), 6-7 (4), 7-6 (5). "There's just a lot of things that are out of your control. That's something I can relate to. I feel like when I'm playing well, that's how my opponents think. And I was expecting that today; that I probably wouldn't get to touch too many balls, too many serves, but I was hoping the same for him," said Opelka, a 21-year-old who is based in Florida. "I know it's awkward for both of us." The 33-year-old Isner was a semifinalist at Wimbledon last year and entered the day with a 9-0 record in all-U.S. contests at the Slams. But he does not often go up against someone with a similar profile: At 6-foot-11 (2.11 meters), Opelka is an inch (3 centimeters) taller than Isner. "It's been helpful watching him, but at the same time, we're different. There are similarities, but the ball comes back a lot more for me than it will for him," Opelka said. "At least for now." Because he's a dozen years younger, and they're from the same country, Opelka said about Isner: "Of course I looked up to him. He's been top 15, top 20 in the world for a crazy long amount of time now." Still, Opelka hardly was prepared to declare this outcome any sort of breakthrough. He figures he still has plenty to work on. Instead, he viewed it as a vehicle to help avoid returning to tennis' lower levels, such as the ITF Transition Tour, where Opelka recalled one tournament this way: "Didn't have any balls. Didn't have any courts. Didn't have any water." There were two moments Monday that both men knew helped determine the outcome. In the second tiebreaker, Isner went ahead 6-4 and served to even the match at a set apiece. But Opelka produced a forehand passing winner to erase the initial set point, opening a four-point run that included a pair of aces and a backhand pass to take that set. Then Isner went up a break in the fourth set and served to force a fifth while ahead 5-4. Up until then, Opelka had not managed to break Isner's serve. "I was ready to play a fifth," Opelka said. "That's kind of what I was thinking. ... I got lucky to get a break." Maybe that's a fair characterization. Isner did help out, missing one backhand followed by a trio of forehands. "I held serve the whole match, pretty comfortably. 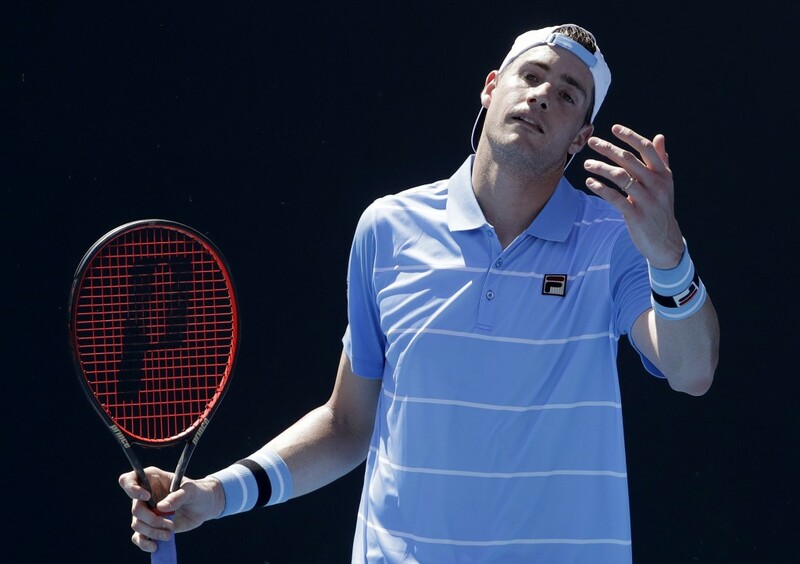 Kind of was uncharacteristic," Isner said of that one lost service game. 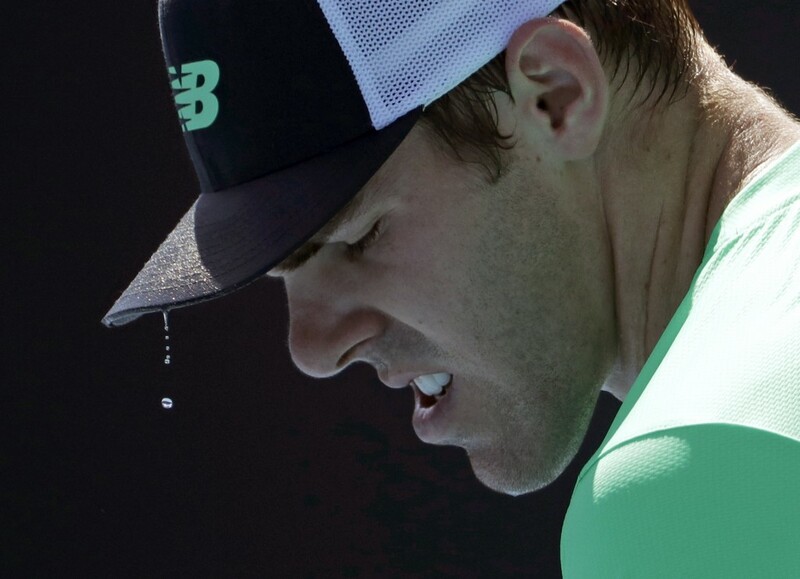 Opelka took the eventual — inevitable? — tiebreaker with the help of three aces, including one at 227 kph (141 mph) to close out the match. For Isner, it's the second year in a row that he bowed out in the opening round in Australia. In 2018, he began the season with six consecutive losses before turning things around and finishing with two titles and a pair of quarterfinals-or-better showings at majors. "I was 0-6 last year. I'm on my way to 0-6, so we'll see if I can top that. 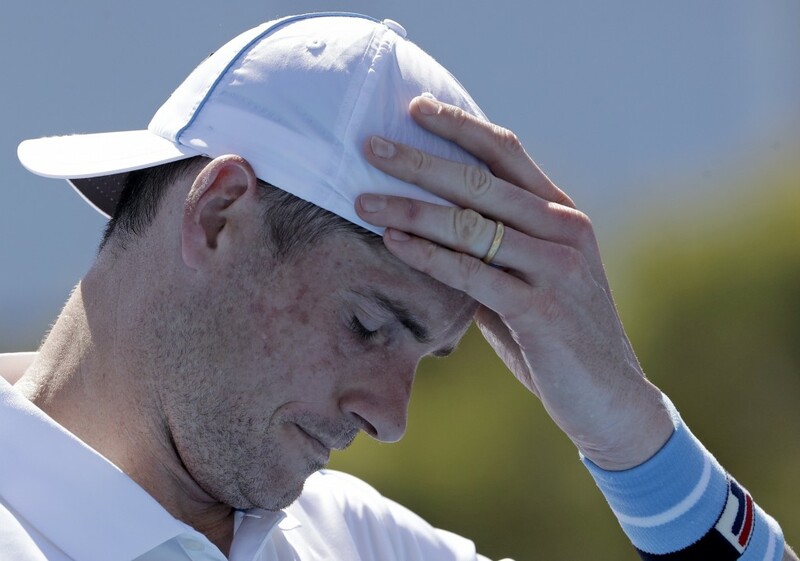 I'm 0-2 right now," said Isner, who lost his first match at Auckland, New Zealand, last week. "Only thing I can do," he said, "is just keep working."